The original Hope Safe-T-Bar is constructed using high tensile cold-formed alloy steel, positioned to protect the rear of your vehicle from fork-lift loading, reversing damage and day to day knocks. 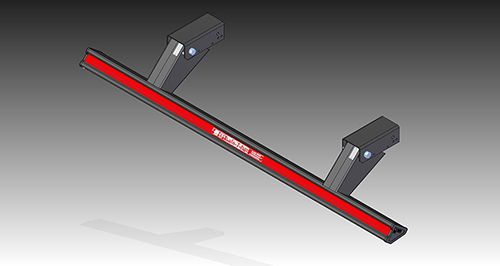 All Hope Safe-T-Bar’s are designed to suit specific vehicles. Models include straight protection, recess step and towing bumpers. The unique recess helps stop wear and tear on the reflective strip, maintaining safety and appearance. The safe-T-bar was developed in the 1980s after listening to the people who mattered - the people who would use it. Now, more than 20 years later, we're still listening. We listen to owners, fitting staff and drivers - in fact all those who take care of company vehicles and care about their public image as well. They've told us that SAFETY and VEHICLE ENHANCEMENT are of paramount importance. We've heard from customers operating literally thousands of HGV'S, LCV'S and non-commercial vehicles as well, describing the problems they need to overcome and the horrific results of failing to do so. 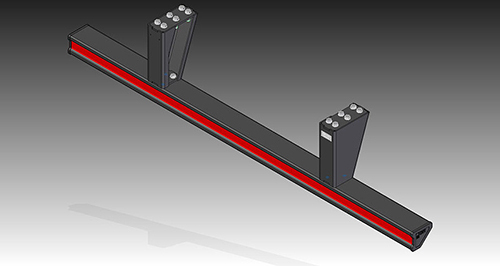 We've taken their suggestions and incorporated them into the Safe-T-Bar, so that now it's even better than ever, providing customers, with a host of additional features to cut down reversing damage and accidents. The Hope Safe-T-Step provides a safe, non-slip van step that protects worker safety while loading the interior or roof of a van from the rear. 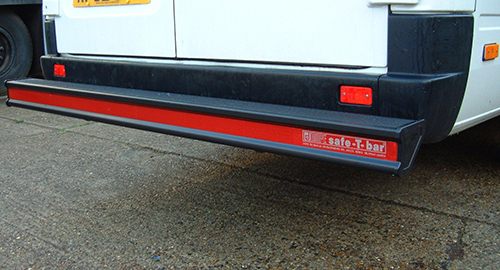 The Hope Safe T Step provides a deep, full width rear van platform, with a raised tread pattern, which makes loading the interior or roof of your van easier and safer, without the need to stretch or balance inappropriately. Two styles of drain hole not only provide a non-slip van step, but also ensure the platform stays dry and safe. These drain holes also make the Safe T Step easier to clean, with mud from fieldwork simply rinsing away. 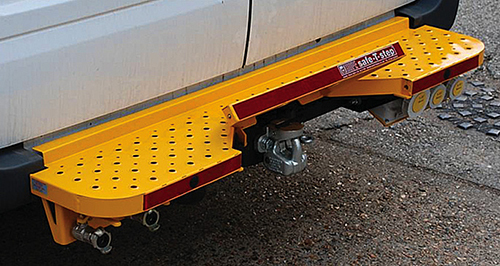 The Safe T Step can be supplied as a solid rear step or with an integral, gas ram operated flap for use with Hope towing equipment. This flap locks into place when not in use.